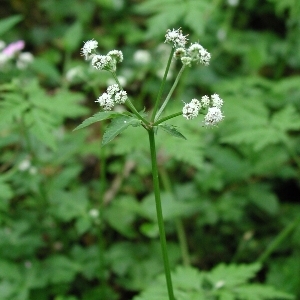 Sanicle is one of the spring-flowering species characteristic of woodland, along with bluebells, primroses, wood sorrel etc. It is frequent across Northern Ireland. 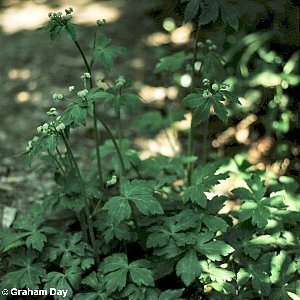 It is a perennial species, about a foot high (c. 30 cm) with globular umbels of small white flowers. 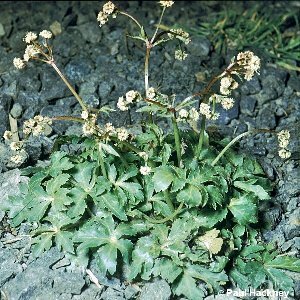 All names: Sanicula europaea L.